Real Moms Real Views, Pampers & Pearls, Â Review District, Maria’s Space, Getmybuzzup. 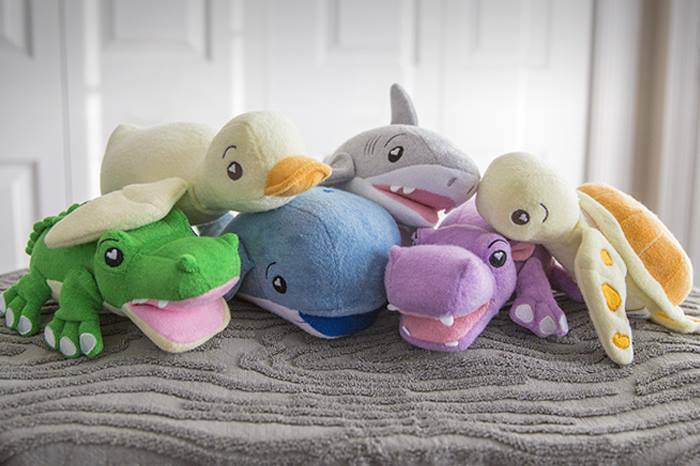 As seen on Shark Tank,Â SoapSox is a collection of unique, soft, and colorful characters that make bathing fun for kids, and easier for parents.Â Made using a soft terry cloth exterior and an anti-microbial sponge interior, SoapSox when filled with soap and water can be worked into a lather for a fun bath time experience. Simply add soap, water, and scrub! Check them out at soapsoxkids.com!